The Department of Surgery at Lewis Katz School of Medicine (LKSOM) is seeking a fellowship trained Bariatric and Minimally Invasive Surgeon to join its growing Division of General and Minimally Invasive Surgery. Successful candidates will have an interest in MIS/Robotic Bariatric Surgery, possess clinical expertise in open and laparoscopic/robotic primary and revisional bariatric operations, and have a strong belief in the multidisciplinary approach to weight loss. He or she will also possess clinical expertise in general advanced minimally invasive and endoscopic surgery. Applicants must possess an M.D. or D.O. with active board certification in general surgery, in possession of or eligible for medical licensure in the Commonwealth of Pennsylvania and credentials that will qualify for a faculty appointment at the level of Assistant Professor. Applicants should also have a strong interest and success in and commitment to surgical education, research scholarly activity and should be active participants in national organizations and committees such as those of the ACS, ASMBS and SAGES. The Department of Surgery at Lewis Katz School of Medicine at Temple University has approximately 30 full-time clinical faculty members in eight Divisions: Abdominal Organ Transplantation, Cardiothoracic Surgery (Aortic, Cardiac and Lung Transplantation), Colorectal Surgery, General and Minimally Invasive Surgery, Plastic and Reconstructive Surgery, Surgical Oncology, Trauma/Surgical Critical Care and Vascular Surgery. The Department provides the highest quality, most compassionate care to its patients, utilizing state-of-the-art and minimally invasive technologies and techniques to achieve successful surgical outcomes. Temple University Hospital and Jeanes Hospital are designated as a Comprehensive MBS-AQIP Bariatric Surgery Center of Excellence® by the American Society for Metabolic and Bariatric Surgery. This designation recognizes programs with a demonstrated track record of success and excellence in clinical outcomes. Temple received five stars in HealthGrades' 2010/2011 Hospital Quality Ratings for Bariatric Surgery. We have also been awarded the Blue Distinction Center for Bariatric Surgery® by Independence Blue Cross, the Institute of Quality for Bariatric Surgery by Aetna, and a Center of Excellence by Philadelphia magazine. These awards recognize the high-quality care and excellent results achieved at the Temple Bariatric Program in Philadelphia, Pennsylvania. Temple Health, one of Philadelphia's leading academic medical centers, is home to more than 1,000 physicians and scientists who share the mission of bringing innovative treatments to patients. Temple Health refers to the health, education and research activities carried out by the affiliates of Temple University Health System and by the Lewis Katz School of Medicine at Temple University (LKSOM). 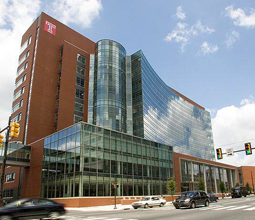 Temple University Health System (TUHS) is a $1.8 billion academic health system dedicated to providing access to quality patient care and supporting excellence in medical education and research. Application materials should include the following: a cover letter stating area of expertise and qualifications, synopsis of accomplishments and professional goals, research/teaching interests, curriculum vitae, and contact information including e-mail addresses for three references. A statement describing participation in activities that promote diversity and inclusion and/or plans to make future contributions are encouraged. Temple Health, one of Philadelphia's leading academic medical centers, is home to more than 1,000 physicians and scientists who share the mission of bringing innovative treatments to patients. Giving our patients access to some of the world's most advanced therapies — and helping them achieve outcomes once thought impossible — is the driving force for all our clinical care, research, and medical education. Temple's nationally-renowned physicians now offer dozens of powerful new options for patients who, just a few years ago, were considered untreatable. Using sophisticated technologies and personalized treatments, Temple physicians are working to alter the course of serious disease. And in over a dozen research centers at Temple University School of Medicine and Fox Chase Cancer Center, our faculty are speeding the transformation of fundamental scientific discoveries into practical therapies that may one day dramatically improve human health.